“Avatar: The Last Airbender” brings balance to the world of mercy and justice, starting with the story of Fire Prince Zuko. Read this only if you’ve already seen all three seasons of the television series Avatar: The Last Airbender.1 My wife and I have been re-viewing this story on DVD, ending with the third season, “Book 3: Fire.” All over again we have been gripped by the powerful pictures of love and reconciliation so beautifully drawn in the series created by Michael Dante DiMartino and Bryan Konietzko. 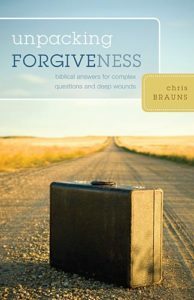 Recommended in case you have ever needed to ask or give forgiveness. 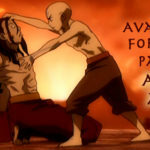 Avatar bends the dual assumptions that many people have about when and how we forgive — assumptions that I often encounter when discussing incidents of abuse and other sins. Is it my imagination, or are we seeing many more slasher movies that take the side of the story’s victims and give them carte blanche excuse to punish their offenders by any means necessary? Perhaps this is in response to incomplete views of “forgiveness” that seem to leave no place for justice. But the answer is not by endorsing sick parodies of “justice” that leaves audiences cheering for the most depraved and violent responses to sinful violence. Instead the Avatar — and friends — bring balance to the world of mercy and justice. Over this series I hope to explore what I mean, following the stories of three Avatar heroes: Fire Prince Zuko, Katara of the Water Tribe, and Aang, the titular last airbender. Zuko’s first “repentance” is proved a false one. Today Zuko is beloved by Avatar fans. He was recently seen in the sequel series The Legend of Korra, back on Nickelodeon this summer. But before he was Fire Lord and the Avatar’s ally, the Fire Nation prince spent all Avatar’s first season hunting Avatar Aang and friends. Near the end of season 2, Zuko begins to change. The influence of his eccentric yet truly good Uncle Iroh is slowly winning over him. Imprisoned with Aang’s friend Katara, Zuko shows remorse and apparent repentance — and Katara is touched. She even offers to try to heal the scars Zuko received at the hand of his father, the evil Fire Lord Ozai. Only halfway through season 3, when Zuko has regained all of what he thought he ever wanted, does he truly begin to change. This time we behold his true and final repentance from sin and it is glorious. Zuko’s heart is changed as if by supernatural regeneration. 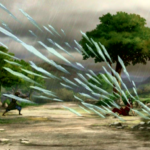 He is at complete peace as he confronts his evil father and proclaims he will join the Avatar. 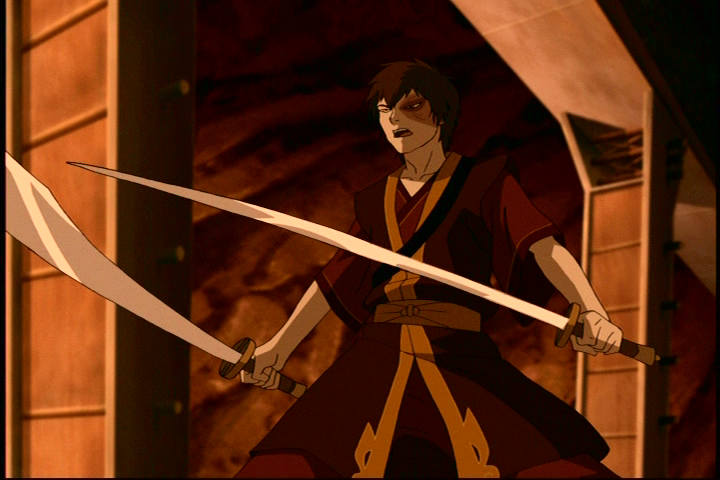 Over several stories fans watched as Zuko humbled himself and repented to his enemies. When they reject him, refusing to forgive, he does not fight back. He retreats and waits, in anguish but understanding their refusal. But circumstances force them to give him a try anyway, and Zuko proves this repentance is genuine. We see him serving the group in small ways — making them his uncle’s teach — and big ways — teaching Aang how to firebend. Zuko takes risky “field trips” with each member of Team Avatar. And perhaps most striking, when Katara angrily says she will never forgive him, he does not. Even. Try. To fight back. Zuko is reconciled with his former enemy, Avatar Aang. Even after the group accepts him, Zuko laments seeing his own life and hatefulness brought to life by a Fire Nation theater troupe. The play is a farce. But at this part, he isn’t laughing. Actress Azula: Well, my brother, what’s it going to be? Your nation, or a life of treachery? Actor Iroh: Choose treachery. It’s more fu-un! Actor Zuko: (Pushes Actor Iroh over and walks to Actress Azula.) I hate you, Uncle! You smell! And I hate you for all time! Katara: (To Zuko) You didn’t really say that, did you? Later during an intermission, Toph asks Zuko what’s wrong. Toph: Geez, everyone’s getting so upset about their characters. Even you seem more down than usual, and that’s saying something! Zuko: You don’t get it. It’s different for you. You get a muscly version of yourself, taking down ten bad guys at once, and making sassy remarks. Toph: Yeah, that’s pretty great. Zuko: But for me, it takes all the mistakes I’ve made in my life, and shoves them back in my face. My uncle — he’s always been on my side, even when things were bad. He was there for me, he taught me so much. And how do I repay him? With a knife in his back. It’s my greatest regret. And I may never get to redeem myself. And Zuko never does — because despite the talk of “earning” honor, following one’s own destiny, and the usual catchphrases people may too easily dismiss in stories, it’s not any Eastern view of honor and shame but a purely Christian view of mercy that rules this story. 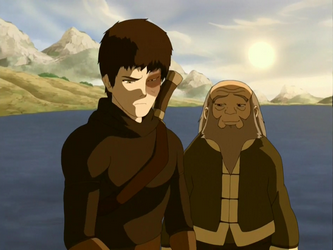 In a scene that still brings tears to my eyes (and once again, please do not read this if you have not seen the series yourself), Zuko finds his uncle. The show’s creators in the DVD commentary directly admit they were inspired by the Biblical story of the prodigal son. Zuko: How can you forgive me so easily? I thought you would be furious with me! Iroh: I was never angry with you. I was sad because I was afraid you lost your way. Zuko: I did lose my way. Iroh: But you found it again. And you did it by yourself. And I am so happy you found your way here. 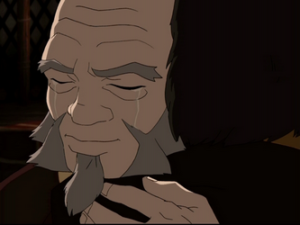 Zuko is forgiven by his merciful Uncle Iroh. 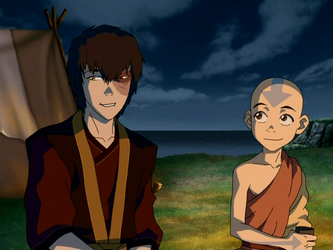 What did you think of Zuko’s journey to reconciliation with his enemies and his uncle? Did you see the Eastern-flavored honor-and-shame labels ultimately subverted by Biblical concepts? What did you think of Zuko’s feelings-based “repentance” in season 2, compared with his true feelings-and-action repentance in season 3? And of course, are you enjoying the new Avatar: The Legend of Korra season 3 stories? Jesus Christ in Matt. 6: 11–15 commands His people to forgive as God forgives, and God does not forgive all people but only the truly repentant (verse 15 alone shows this). See Luke 17: 3–4 for another example of how Jesus contrasts responding to an unrepentant brother — a Christian — versus responding to one who repents. However, even if God does not forgive everyone, He does love His enemies, and longs to be reconciled with them. Oh man, I loved Avatar so much. Zuko’s story is so powerful! Like when Katara tells him she’ll never forgive him because she was wronged, he figures out a way to help her right that wrong. There was a lot of Christian theming mixed with the Eastern thought. Like when Aang is learning to open his chakras–everything he has to learn is a Christian virtue. But I never hear anybody talk about that. You’ll have to remind me what those virtues were and why they’re specifically Christian and not something we hold in common with Buddhists and/or Daoists and/or Hindus. I just remember a bunch of releasing tied into detachment, which is par for the course for Buddhism. I’ve been keeping up with those abuse stories, and I can’t blame them for defining “forgiveness” as “moving on” because there’s so much pressure on them to hurry up and forgive and forget and not be bitter so everyone else can go back to feeling comfortable again. And in some cases, the church really do expect the victims to fully reconcile with a not-actually-repentant abuser, which is a thing I would hulk-smash if I could. The fact is that forgiveness is a process that rarely corresponds to an outsider’s expectation of what a proper timeline is. And that’s why I like Avatar. They acknowledge that forgiveness or repentance or any kind of emotional growth is not neat and pat and at a steady rate, that there are setbacks and complications and raw feels involved. I can’t blame them for defining “forgiveness” as “moving on” because there’s so much pressure on them to hurry up and forgive and forget and not be bitter so everyone else can go back to feeling comfortable again. Which is a grotesque perversion of Biblical faith. It denies justice — and denies what Scripture actually says about how repentance and forgiveness works. This is why in a sense we “need” a God of wrath and vengeance, and how attempts to soften Him or remove His fiercer attributes are exactly what ends up hurting people. After all, the coverups of abuse are not happening because people think God is perpetually angry. They’re quite eager to affirm that He is gracious and “forgiving,” so “forgiving” that He does not punish people for sin. Whereas when God Himself talks about how to deal with others’ evil, He is bother absolutely holy about it and purely pragmatic. If possible, so far as it depends on you, live peaceably with all. Beloved, never avenge yourselves, but leave it to the wrath of God, for it is written, “Vengeance is mine, I will repay, says the Lord.” To the contrary, “if your enemy is hungry, feed him; if he is thirsty, give him something to drink; for by so doing you will heap burning coals on his head.” Do not be overcome by evil, but overcome evil with good. I love how He says, “If possible, so far as it depends on you …”, acknowledging the reality of living in a world where we cannot yet live at peace with all people. There’s a lot to like in this series and its sequel. Nice insights into Zuko’s journey, looking forward to your thoughts on Aang and Katara. Wrong choices > repentance > forgiveness continues to be a prominent thread in Legend of Korra as well. YES! 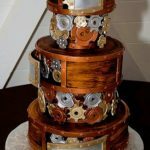 I was so delighted to see this article! I only just watched the series for the first time last year and now my whole family enjoys it and its sequel. And yes…I cried a couple times in the climax. It’s a real delight to hear your thoughts one of my favorite characters, and I’m looking forward to the rest! These stories are a great continuation of the show, and the messages of forgiveness continue to abound with Zuko’s struggle as Fire Lord in The Promise and the peak of his grasp of unconditional love in The Search! Any Avatar fan definitely should NOT miss these graphic novels. Fantastic art too! You just sold the graphic novels for me, Hannah. I wonder though: why did they not simply have a direct-to-DVD film for that rather pivotal continuation of the story? It would have been a great bonus for fans. Well-written redemptive arcs are so hard to find in any media. I think Once Upon a Time has a particularly bad example with Regina, because it tries to give her more credit than she’s earned. (I’m speaking primarily from the second season, as she wasn’t fully cognizant of her Evil Queen past in the first and I gave up on season three). She realizes that she cannot have a relationship with her son unless she acts a certain way, but it doesn’t ‘click’ that she’s done things that need to be forgiven. On the other hand, the narrative (and a good many fans of the show) want her to be reconciled without repentance. Viewers in generally seem to be confused about this topic, seeing only ‘justice’ or ‘forgetting’ as the options after a betrayal. But forgiveness isn’t really something one earns–you can never do enough good to erase the bad–it’s a gift.